An e-pen vaporizer is a better and more stylish way to administer CBD and THC oils into the body if you have a few reservations towards smoking marijuana. E-pens come with a cartridge compartment, and you can purchase a wide range of vape cartridges from different brands. All e-pens have a great feature: they are all activated with a push button. This is function helps to minimize the chances of accidentally pushing the button and turning the pen on. This is an awesome battery-saving technique. Another thing we should also point out is the safety-chip the pens have that stops the chances of the e-pen overcharging. 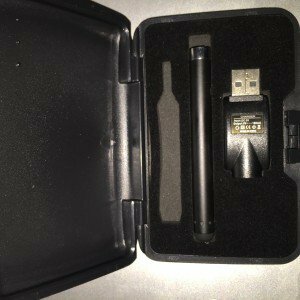 Why Choose This E-Pen Vaporizer? This e-Pen is designed as a full-option kit that is easy to use. This is an electronic pen that needs to be charged frequently. Vaporizers have different prices and grades but all of them come with a rechargeable battery, atomizer, and USB charger. You can use your laptop computer, a power storing device, a wall plug converter, or an in-car charger port to charge this e-pen. This guarantees that your e-pen vaporizer has sufficient power, any day and any time.